Cherry Pie-What the "Forks" for Dinner? 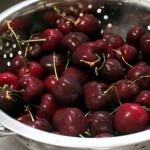 Once again at the local grocery store something caught my eye………beautiful, plump, bright red cherries. Now, to find something to actually do with them, I scoured the internet……..so many variations to cherry pie……..but I wanted something different. I found a cake recipe that I wanted to modify for my “Gluten Free” friends. Epic FAIL!!!! It was awful!!! Not really sure what I did wrong but it was a soupy mess…..see below……. 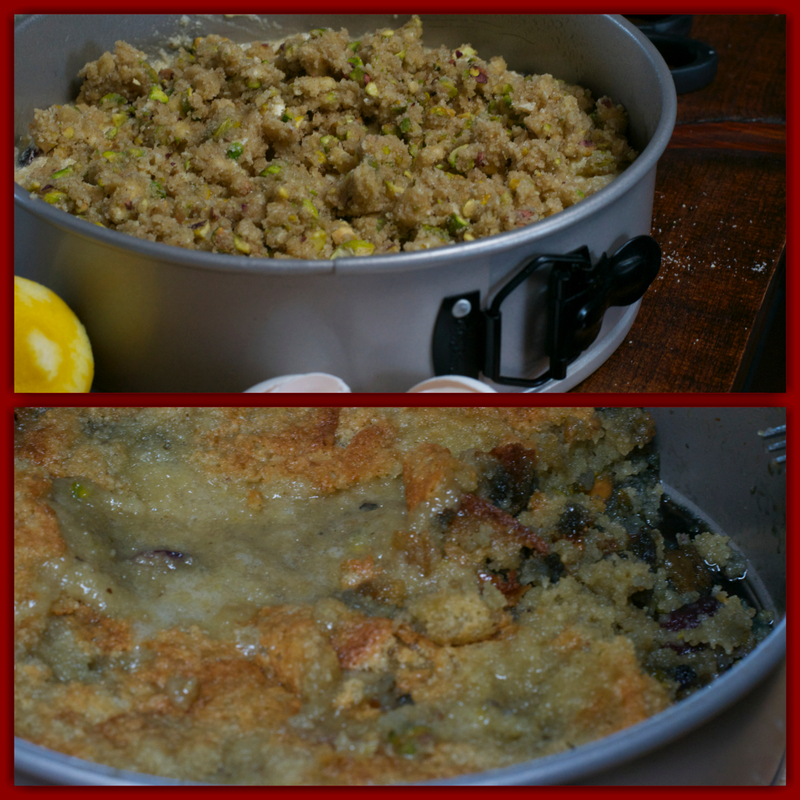 The beautiful pistachio topping sank into the batter and disappeared. I will try this again after much modification, but such a waste of the beautiful cherries. So , on to bigger and better things. I want to tell a gadget story……my Mom, who by the way made the best pies in the world….. her crust was flaky and tender (something I cannot replicate), especially her coconut cream pie. Mom was one to buy every little gadget on the market. 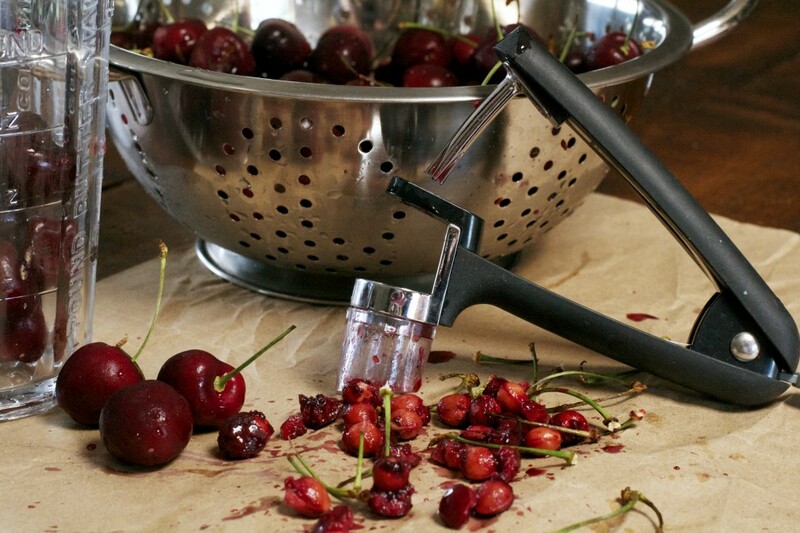 When she passed away and we were cleaning out her house I came across a cherry pitter. Now, since I am not a cherry fan I wondered what I would ever use this for? But I kept it anyway………..What a great little tool! 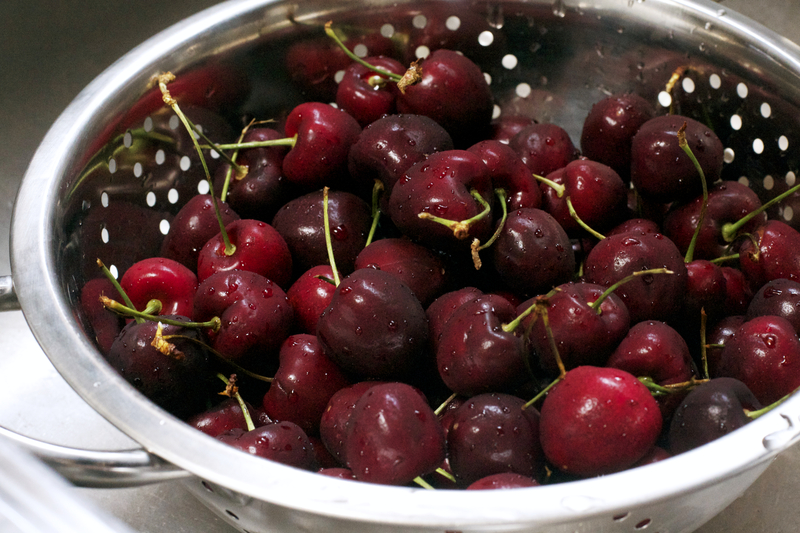 If you love cherries, or have a cherry tree, do yourself a favor and buy one……it is the bomb! Be sure you put down a paper bag, or something to catch the pits, as it is a messy process. After my fail, I had to do something with the remaining cherries. I remembered that Tim’s Uncle Ron “a.k.a. Rude Dog” liked cherry pie. 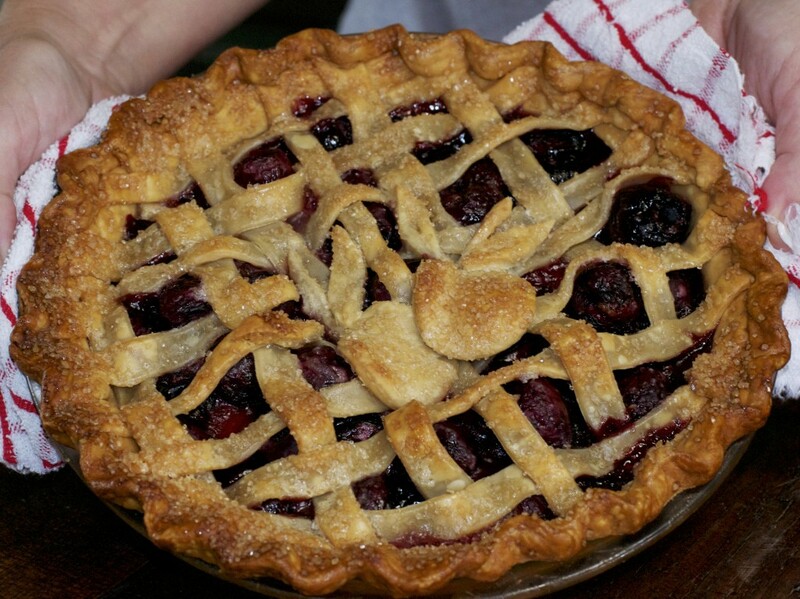 So, I made my first every cherry pie……. with a lattice top. I did have to Google how to make a lattice top as I have never made a pie with one before……….wow……three firsts in one day! 1. Epic Fail 2. Cherry Pie. 3. Lattice top pie. My, oh my, what a day. So here is the final result of the Cherry Pie………. I am still waiting to hear back from Uncle Ron………I hope he enjoyed it! Roll out the bottom pie crust, and gently lay it in a 9-inch pie pan. Transfer the cherry filling to the pie crust, and sprinkle with little dots of butter. Roll out the top pie crust, and either lay on top and cut a few slits in the middle to make a full double pie crust. Or cut the top pie crust into strips to make a lattice pie crust (I Googled this as it was the first lattice pie I have ever made). Brush pie crust with milk and sprinkle with Turbinado sugar. Then freeze for about 10 minutes, before baking. Place the pie in the middle rack, on a baking sheet lined with parchment paper or tin foil to catch any drips. Bake for 15 minutes, then reduce the temperature to 350°F and cook for 35-45 additional minutes, or until the crust is nicely golden and the filling is thick and bubbly.